MDSO/MDSO-LA dual-channel digital oscilloscope, with "low-cost, high-performance" as the design goals. well-designed bandwidth of 20M, 48M sampling rate, 2 channels, alternating support X, Y and XY alternating pattern of two-channel virtual oscilloscope, spectrum analyzer, data recorder. 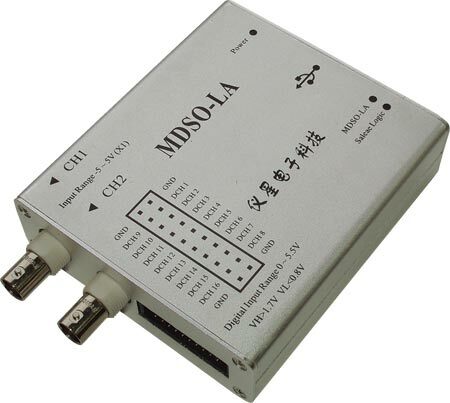 The MDSO-LA device support 24M logic analyzer, MDSO-LA device support Saleae Logic logic analyzer software, it’s support for SPI, IIC, UART 10 protocol analysis. Standard accessories: 2x oscilloscope probe (1:1/1:10), 1x logic analyzer wiring, 16ks testing clips, CD-ROM with software and documentation, USB cable,user guide. 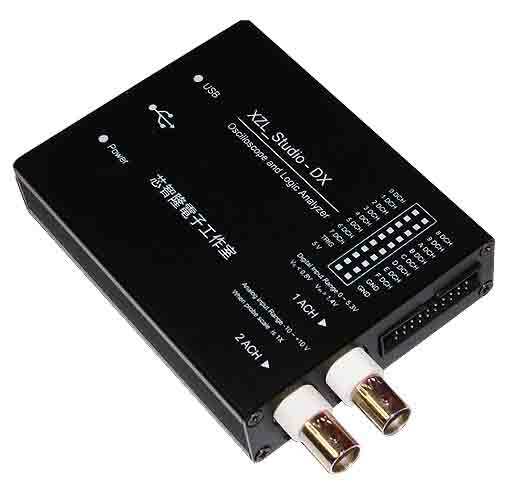 The XZL Studio DX is a large sample buffer USB based programmable multifunction digital storage oscilloscope, logic analyzer and digital signal generator in a single compact and easy to use device. The device offers 2-channel analog inputs for digital osciloscope, 16-channels logic analyzer and 16-channels for digital signal generator. 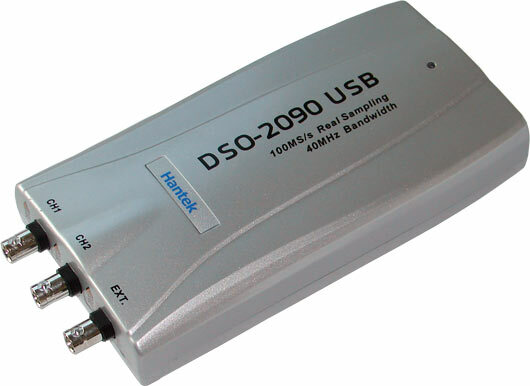 Connecting to your PC, the USBee DX Test Pod uses the power and speed of the USB 2.0 bus to capture and control analog and digital information from your own hardware designs. The XZL Studio takes advantage of already existing PC resources by streaming data over the High-Speed USB 2.0 bus to and from the PC. This allows the device can utilize available PC memory as the sample buffer, allowing selectable sample depths from one to many hundreds of millions of samples. XZL Studio DX device offers a wide range of functions such as multimeter, bus decoder (SPI, I2C, CANbus, USB, SMBus, etc. ), frequency counter and many others. For its parameters and affordable price this device is ideal bench tool for engineers, hobbyists and students. Quality digital storage oscilloscope with 40MHz bandwidth. The oscilloscope is designed for USB interface connection to the host PC and provides sampling frequency till 100MHz with 8-bits resolution. The device is supplied form USB interface so any other power supply is not needed. Software application offers easy and intuitive control and provides many useful functions such as Spectral analysis, Autoset function, Measured data save, etc. Supplied accessories: 2 oscilloscope probes 60MHZ (type PM-80), CD-ROM with software and documentation, USB cable, printed user guide. 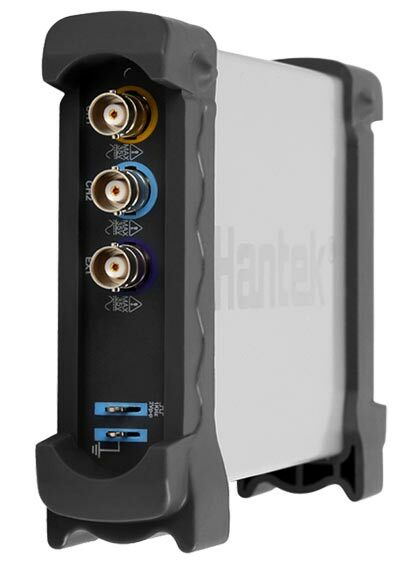 Hantek 6082BE is a digital USB oscilloscope with 250MS/sec sample rate and bandwidth 80MHz. Excellent industrial design-the same anodised aluminium casing as iPad, which is not only beautiful and tasteful but also greatly enhanced the hardness of aluminum alloy surface, and has good heat resistance and strong wearability. Standard USBXITM interface, easily inserts into USBXITM housing to make up a combination instrument. USB2.0 interface, no external power source required, easy to use. Be suitable for notebook computer, product line maintenance, be used easily on business. The oscilloscope is small, lightweight, no external power required, portable oscilloscopes. The oscilloscopes is ideal for production test, research and design and all of the applications involving analog circuits test and troubleshooting, as well as education and training. High-quality digital storage oscilloscope with 60MHz bandwidth. 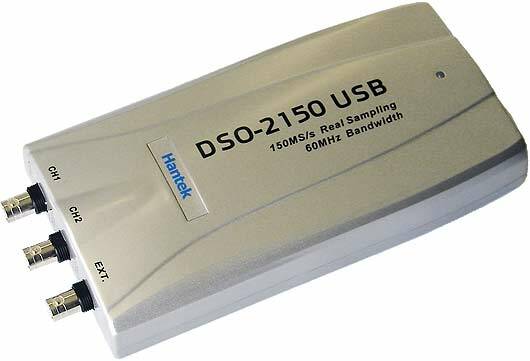 The oscilloscope is designed for USB interface connection to the host PC and provides sampling frequency till 150MHz with 8-bits resolution. The device is supplied form USB interface so any other power supply is not needed. Software application offers easy and intuitive control and provides many usefull functions such as Spectral analysis, Autoset function, Measured data save, etc. Supplied accessories: 2 oscilloscope probes 60MHZ (type PM-80), CD-ROM with software and documentation, USB cabel, printed user guide.